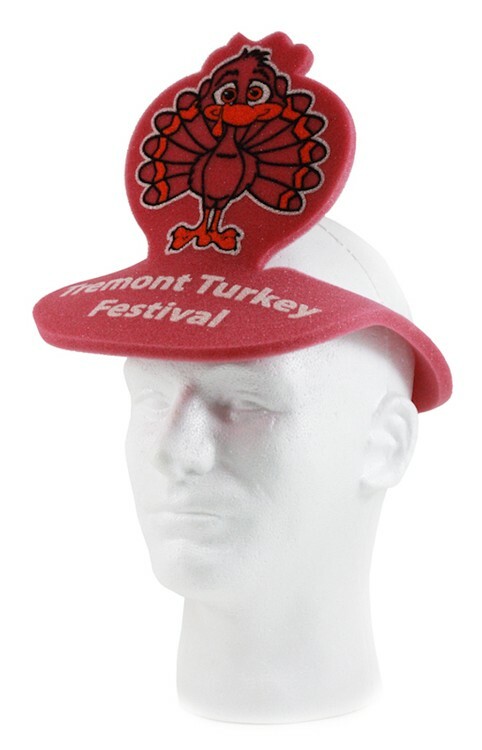 When you need a fun promotional item to showcase your company logo, the foam turkey visor will surely do the trick. It’s the perfect hat for sporting events and pep rallies. This hat is one size fits all and your customers will stand out from the crowd and give you the exposure you deserve. One size fits all…..Imprint Area: 2" x 4"